There's nothing quite as special as the bond between a mother and her daughter. Our beautiful Mother-Daughter necklaces are the perfect gift to show her just how much you care. You receive these as a set, one for mum and one for daughter! Great gift idea in time for Mother's Day but also perfect for birthdays and Christmas! 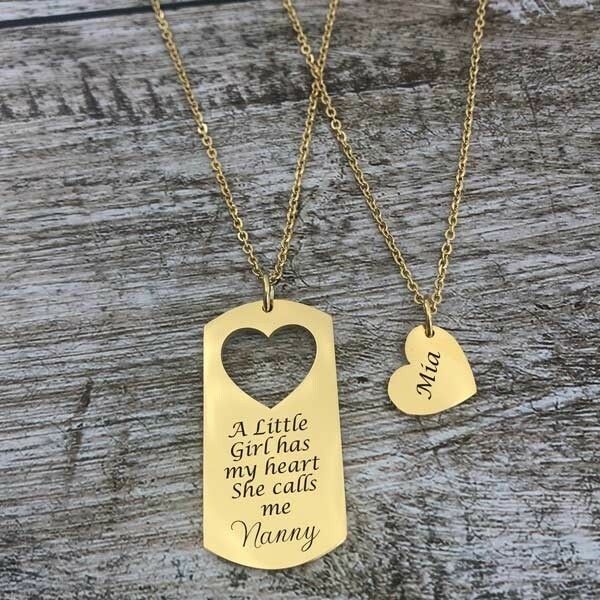 This pendant can even be personalised for a Grandma or Nanny and her Granddaughter. The options are endless!